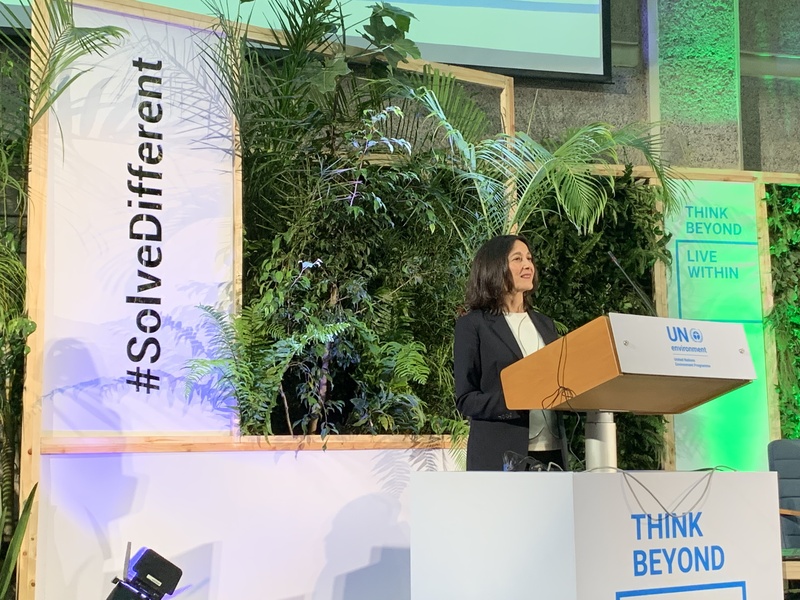 The fourth session of the United Nations Environment Assembly (UNEA-4) took place from 11-15 March 2019 in Nairobi, Kenya. The theme of the meeting was “Innovative solutions for environmental challenges and sustainable consumption and production.” Over 5,000 participants from 179 countries including governments, intergovernmental organizations, business sector and civil society representatives attended the Assembly. The High-Level Segment was opened on 14th March by UNEA-4 President Siim KIISLER who highlighted that Sustainable Consumption and Production should be at the core of all countries’ efforts to achieve the 2030 Agenda. Martha Rojas Urrego delivered a statement emphasizing the role of wetlands as valuable natural infrastructure for agriculture, providing reliable water and fertile soils, stressing they are at risk from agriculture’s growing demands for land and water. She called to urgently step up the protection, sustainable use and restoration of wetlands and to consider their functions and economic values in planning for the production of food and other agricultural products in order to respond to the growing food demand. At the meeting of the Network of Women Ministers and Leaders, the Secretary General shared Resolution XIII.18 Gender and Wetlands adopted at the 13th Conference of the Parties to the Ramsar Convention. She highlighted that progress has been made but there is still there is a lot to do empower women as agents of change for a more sustainable world. The Secretary General made an intervention in the Leadership Dialogue “Environmental challenges related to poverty and natural resources management, including sustainable food systems, food security and halting biodiversity loss”. She stressed the role of wetlands and water in ensuring food security. Delegates adopted a Ministerial Declaration and 23 resolutions that address many global environmental issues. The Ministerial Declaration calls to address environmental challenges through advancing innovative solutions and to move towards sustainable and resilient societies through sustainable consumption and production. Martha Rojas Urrego delivered a statement to UNEA-4 emphasizing stressing wetlands are at risk from agriculture’s growing demands for land and water. Innovations on biodiversity and land degradation This resolution (UNEP/EA.4/L.11) encourages Member States to strengthen commitments and step up their efforts to prevent the loss of biological diversity and the degradation of land and soil, including through their conservation and sustainable use. UNEA calls on the Executive Director of UNEP to continue collaboration with the UN FAO, the CBD, the UNFCCC, UNCCD and other related conventions, including, CITES, CMS, ITPGR and Ramsar and relevant intergovernmental panels, where appropriate, to foster innovative ways to address biodiversity loss, climate change and soil, land and ecosystems degradation in an integrated manner. Sustainable management for global health of mangroves (UNEP/EA.4/L.13) notes several international frameworks and targets, including the Ramsar Convention on Wetlands of International Importance, the Aichi Biodiversity Targets, SDG 2 (ending hunger), SDG 13 (climate action), and SDG targets 14.2 (sustainably manage marine and coastal ecosystems) and 15.5 (reduce degradation of natural habitats). Conservation and sustainable management of peatlands (UNEP/EA.4/L.19) urges Member States and other stakeholders to give greater emphasis to the conservation, sustainable management, and restoration of peatlands worldwide including through existing efforts implemented by institutions such as UNEP and FAO. UNEA requests UNEP, within existing resources and in consultation with the Ramsar Secretariat, to coordinate efforts to create a comprehensive and accurate global peatlands inventory. Promote gender equality, and the human rights and empowerment of women and girls in environmental governance (UNEP/EA.4/L.21) acknowledges that the States Parties to all three Rio Conventions – the Convention on Biological Diversity, the UN Framework Convention on Climate Change, and the UN Convention to Combat Desertification - as well as the Ramsar Convention have recognized the importance of addressing gender equality and women’s empowerment in their implementation, consequently developing individual gender action plans to support Parties in their actions. Poverty-Environment nexus (UNEP/EA.4/L.22) affirms the strong and complex linkages between poverty, socio-economic development, environment, and natural resources management. In the resolution, UNEA considers that soils, forests, fisheries, water and biomass are among the principal sources of income, livelihood, food security, social protection, and employment. 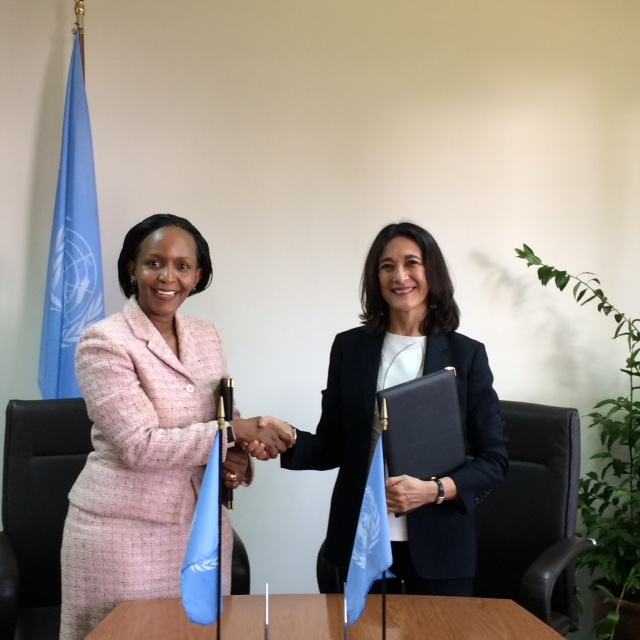 On 13th March Ramsar Secretary General Martha Rojas Urrego, and UNEP Acting Executive Director Joyce Msuya renewed the Memorandum of Understanding to strengthen collaboration for wetlands. The Ramsar Secretariat worked actively with the Secretariats of the BLG in the preparation of joint statements which were delivered at the Ministerial round table on the main outcomes of the 2018 UN Biodiversity Conference and development of the post 2020 global biodiversity framework and the High Level Segment of UNEA.